The Samsung Galaxy S6 Edge is not only one of the most beautiful smartphones Samsung has ever built but one of the best and most stylish handsets ever. A premium design, stunning screen, innovative features and loads of power propel it close to the top of the pile. 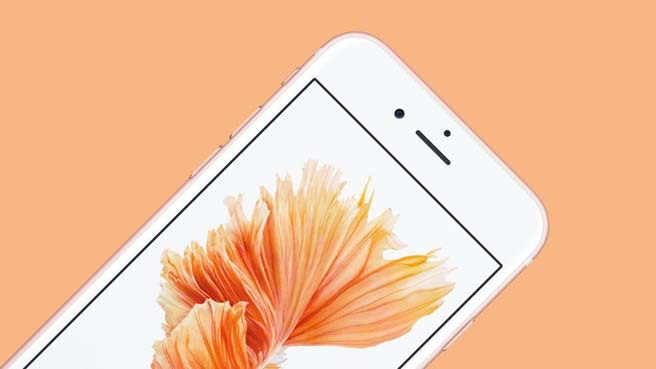 But Apple's phones have always enjoyed a place at or near the top of the smartphone heap and the iPhone 6S is no exception, with a beautiful build of its own and plenty of flagship features. 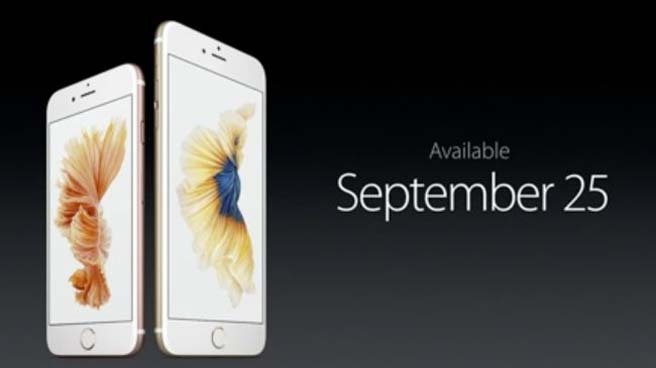 The iPhone 6S inherits a lot from the iPhone 6, with a similar metal unibody and a slim 7.1mm build. It looks great and oozes premium appeal, but it also looks like last year's phone. 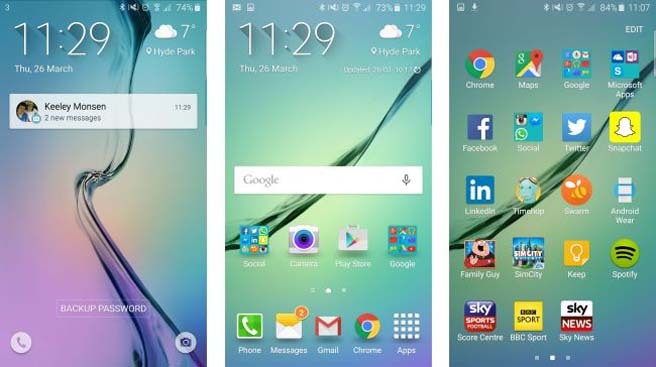 The Samsung Galaxy S6 Edge on the other hand is something a little different. Its metal frame and glass back may conjure visions of the Sony Xperia Z3+ but with a more rounded design, not to mention a dual curved display, it's actually quite unique and sure to turn heads. It's also ever so slightly slimmer than Apple's phone at 7.0mm thick. The iPhone 6S has a 4.7-inch screen with a 1334 x 750 resolution with a pixel density of 326 pixels per inch, which is the same as the iPhone 6 and dwarfed by the Samsung Galaxy S6 Edge's 5.1-inch 1440 x 2560 display. That gives it a ludicrously high pixel density of 577 pixels per inch, which is arguably overkill, but there's no denying that it's sharper than a razor blade and with the help of Super AMOLED screen technology it's rich and vivid too, though the iPhone 6S with its IPS LCD screen tends towards slightly more natural colours. 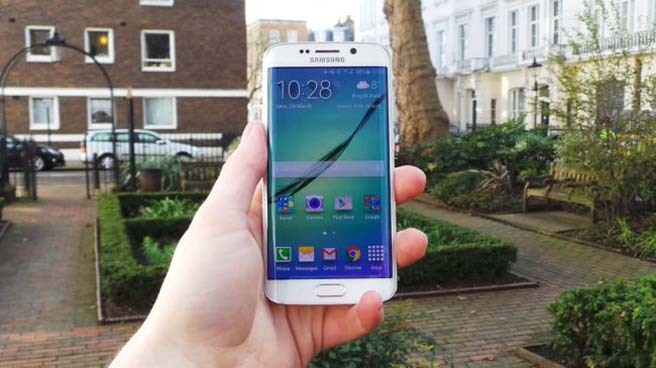 The other thing we have to mention here is the dual curved design of the S6 Edge's screen. Not only does it look good but it actually adds new features to the phone. Though, er, nothing particularly vital. The main feature is the ability to get an overview of notifications and messages on the edge screen without lighting up the main display, but it's limited and temperamental. One thing you can always count on from a new flagship is more power and the iPhone 6S doesn't disappoint. 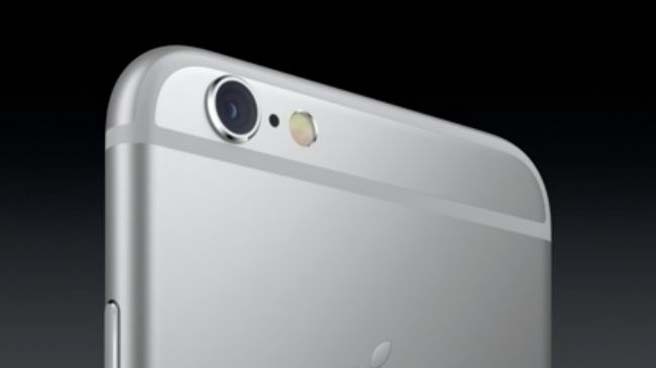 It has a new Apple A9 processor, which should give it a significant boost over the iPhone 6. 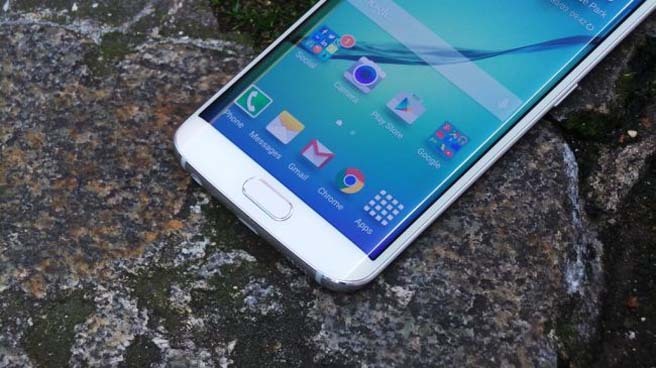 The Samsung Galaxy S6 Edge has plenty of oomph too though, with 3GB of RAM and an octa-core Exynos 7420 processor, which has four cores clocked at 2.1GHz and the other four running at 1.5GHz. 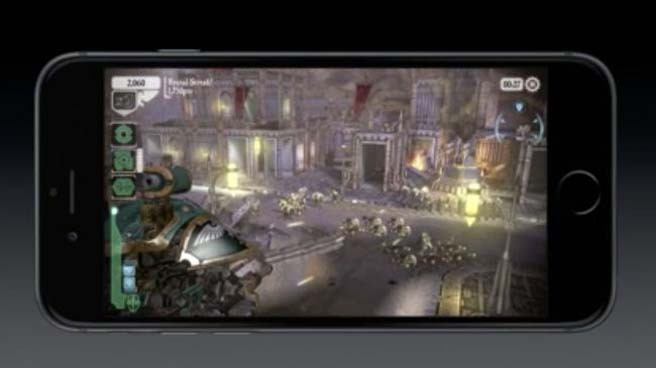 It's an extremely fast phone but we expect the iPhone 6S will offer similar real world performance. The Samsung Galaxy S6 Edge is capable of taking sublime photos and it's no wonder given it has a powerful 16MP snapper with optical image stabilisation on the back and a 5MP camera on the front. It's fast, full of options and strong in almost all conditions. It's too early to say exactly how good the iPhone 6S's snapper will be, but it seems likely that it will be an upgrade over the already impressive camera on the iPhone 6, especially as it's been upped to a 12MP sensor on the back and a 5MP one on the front. We'll let you know how it stacks up once we've thoroughly put it to the test, but we're optimistic that alongside the Galaxy S6 Edge it will be one of 2015's best camera phones. Your choice of OS is every bit as important as your choice of phone and there's quite a lot to choose between the iOS 9-equipped iPhone 6S and the Android Lollipop-powered Samsung Galaxy S6 Edge. While both are slick and polished it is worth considering whether you'd rather tie yourself into Google's ecosystem or Apple's. There are differences in the available apps too. Not as many as their once was, with both OS's offering well over a million apps, but iOS has a slightly better selection of premium ones. On the other hand Android is stillthe more open and customisable OS. The other difference is as much a screen technology as an OS feature, but with 3D Touch the iPhone 6S can tell the difference between different amounts of pressure when you're tapping and a light press will often result in a different outcome to a hard one, giving you one more way to interact with the device. One thing which didn't overly impress us about the Samsung Galaxy S6 Edge was its battery life, as its 2,600mAh juice pack struggles to see it through a day if you use the handset as more than just a phone. While we're not expecting amazing things from the iPhone 6S's battery the suggestions from Apple are that it should have the same longevity as the iPhone 6, which would mean a little more endurance than what we've seen from Samsung's phone, so you'll hopefully at least be able to get to bed time before plugging it in. Still, the Samsung Galaxy S6 Edge does support fast charging, so if you need to juice it up part way through the day you can do so quite quickly. The Samsung Galaxy S6 Edge is currently available from around £460 ($600, AU$1000), while the iPhone 6S retails for £539 ($649, AU$1,079), so Apple's phone is a little more expensive in most regions, but then it's also newer, so that's to be expected. Neither phone is cheap though, with both packing flagship prices. 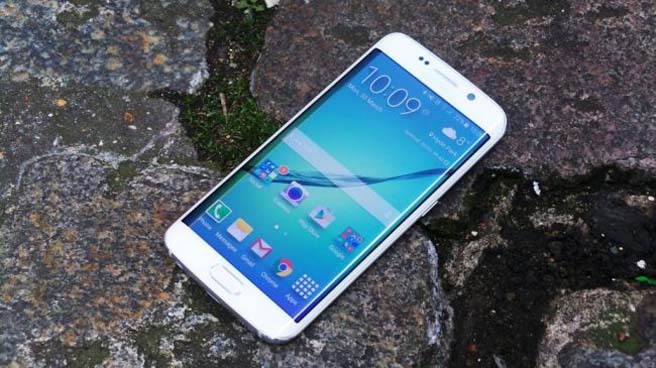 The Samsung Galaxy S6 Edge is widely available though and while the iPhone 6S is sure to be sold just about everywhere it's going to be in high demand, so it may sell out. With the Galaxy S6 Edge Samsung has finally made a flagship that can compete with the aesthetics of the iPhone as well as the specs. Both handsets look great, they're both powerful and both have fingerprint scanners. 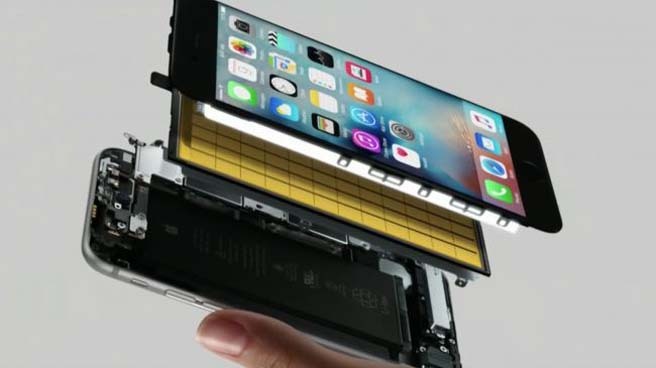 The iPhone 6S is likely to be able to rival the S6 Edge's impressive camera too and it might also achieve better battery life. It's a little more expensive though and it doesn't have as sharp (or as curvy) a screen. It's too soon to say for sure which phone is best, but they're both clear flagships that do their makers proud.